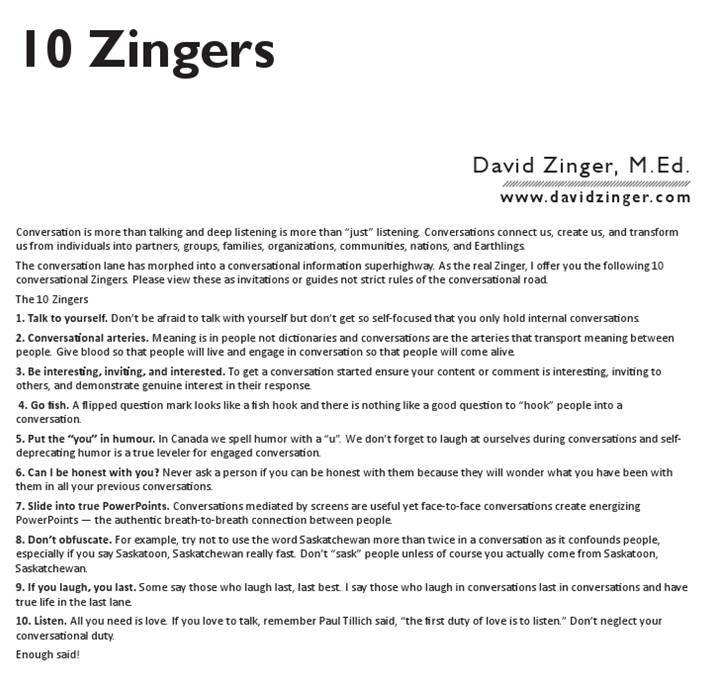 I encourage you to listen to this exceptional reading of 10 Zingers by my good friend Steve Roesler. The article originally appeared in the Age of Conversations. David Zinger appreciates the value of authentic and engaging conversations. He works with organizations and individuals to improve employee engagement. His writing, speaking, coaching, and consulting focus on helping organizations and individuals increase employee engagement by 20%. David founded the 3360 member Employee Engagement Network. The network is committed to increasing employee engagement 20% by 2020.